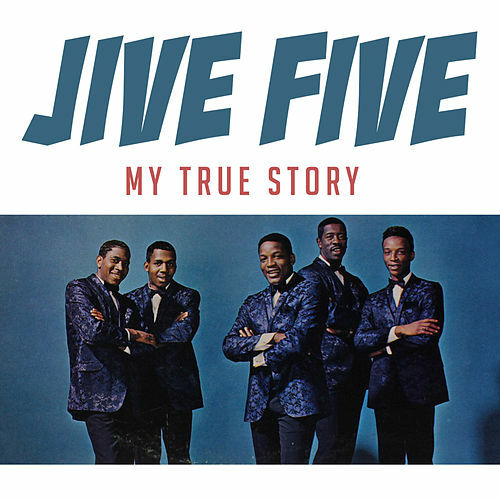 The Jive Five is an American doo wop group. 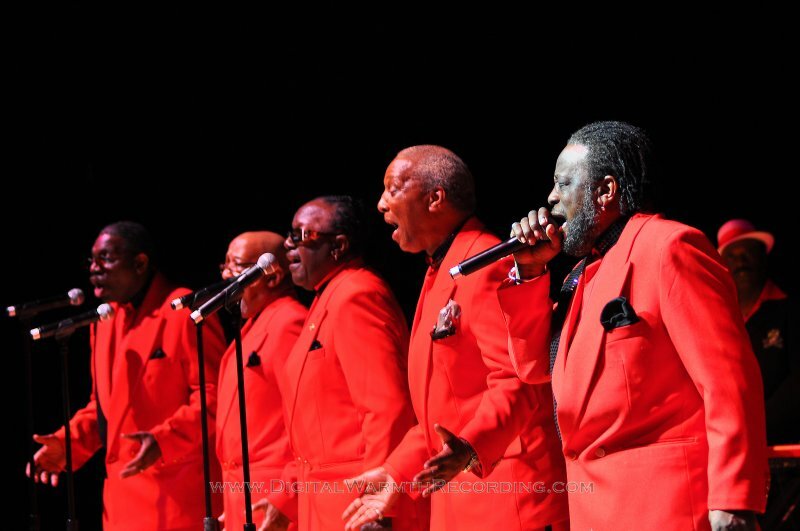 They are best known for their debut hit single, "My True Story" (1961), the Nickelodeon bumper jingles in the 1980s and 1990s, and the fact that they outlasted most of their doo wop musical peers, by re-modelling themselves as a soul group in the 1960s and beyond. The group formed in Brooklyn, New York in the late 1950s with Eugene Pitt, Jerome Hanna, Richard Harris, Thurmon Prophet (also known as Billy Prophet), and Norman Johnson. The group found success in 1961 with "My True Story" on Beltone Records, which reached No. 3 on the Billboard Hot 100 chart. The group reorganized following the death of Hanna in 1962 with Pitt, Johnson, Hanna's replacement Andre Coles, Casey Spencer, and Beatrice Best. They recorded "What Time is It" and "These Golden Rings" for Belltone, before switching to United Artists Records, where they had a hit with "I'm a Happy Man". In 1970 the group moved to Decca Records and recorded as "The Jyve Fyve", with Pitt, Spencer, Richard Fisher, and Richard Harris's brother Webster. They had a minor hit with this name, "I Want You To Be My Baby", on Decca. They also recorded briefly for Avco Records. They made a 1974 recording for Chess Records as "Shadow", and a 1975 recording for Columbia Records as "Ebony, Ivory, and the Jades". They changed back to "The Jive Five" in 1978. At this time the line-up was Pitt, Spencer, and the returning Beatrice Best and Richard Harris. The group reorganized in 1982, with Pitt, Best, Charles Mitchell, and Pitt's brothers Herbert and Frank. In the late 1990s, the group was Pitt, Best, Harold Gill, Maurice Unthank, and Art Loria. Daniel Loria came in for Best at times, who was in and out with health issues. In 1984, Eugene and The Jive Five were introduced to New York cable TV branding consultants Fred Seibert and Alan Goodman (and their company Fred/Alan, Inc.) by their latest producer, Ambient Sound's Marty Pekar. Together with Fred/Alan producer Tom Pomposello they embarked on an almost ten-year relationship, creating and singing the a cappella signature sound of the American kids' television network Nickelodeon, one of the first popular "network" specialized cable television channels. They used the group to write and record some of the most memorable advertising jingles of their day with the catch phrase, "Nic-Nic-Nic", performed in a doo wop style. They were part of the popular "Kid's Choice" awards, and later, they worked on ID's for HBO Family in 1999. The group performed on the PBS special Doo Wop 50. The line-up was Pitt, Spencer, Richard Harris, Best, and a fifth member. Between 2000 and 2006 the line up was led by Pitt on lead vocals, Bea Best, Art Loria (formerly of The Belmonts and Earls), Danny Loria and Harold Gilly. Maurice Unthank took over as band leader. The group released a single in 2003 entitled "It's Christmas", written by Pitt and the Loria's. It was credited to 'Eugene Pitt and the Jive Five' and featured Pitt, Best, Gill, Unthank, and the Loria's. Other recordings this line-up recorded included: "Jive Five Sing Along", "Pretend", "I Am Yours", "Falling Tears (remake) "Today", "Close Your Eyes", "You", "Daddy's Home" and many other single releases. Alpine Entertainment announced that a future CD would consolidate these singles into one Jive Five release. The project name is not yet known, however the projected release date is late 2013 or 2014. Eugene Pitt, as one of the founding members with Artie and Danny Loria, was active performing and recording with The Doo Wop All Stars between 1990 and 2006. The group recorded a tribute song to the September 11 attacks victims and heroes, named "We Will Never Fall". 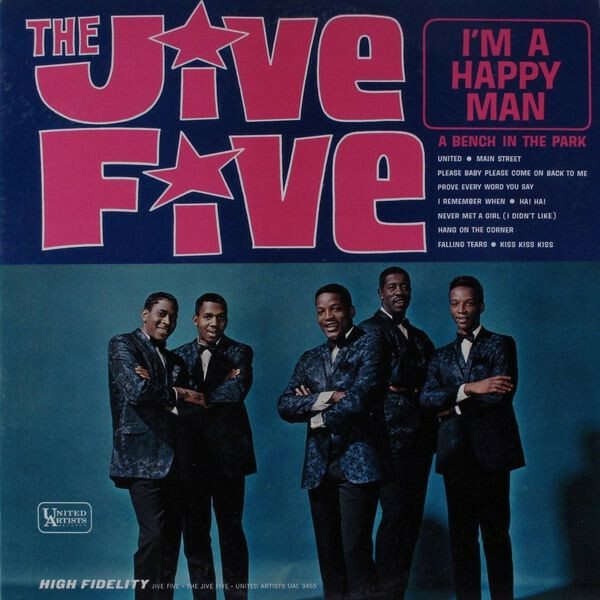 It was a Jive Five release in 2001 that was credited to the group "Voices for America". In June 2010, the group consisted of the then 72-year-old Eugene Pitt, first tenor Frank Pitt, second tenor Casey Spencer, baritone Beatrice Best, and bass Herbert Pitt. As of 2013, Danny Loria still performs and records with the Doo Wop All Stars. He also produces, promotes and is the President of Alpine Entertainment, an entertainment and publishing company. Norman Johnson died in 1970. Webster Harris died in 2003. Maurice Unthank died on July 21, 2008. Artie Loria died on October 23, 2010. Beatrice "Bea" Best died on September 15, 2014. He was 81. Founder member Eugene Pitt (born on November 6, 1937) died on June 29, 2018 at the age of 80.